Stress and anxiety affect everyone from time to time. But sometimes the stress becomes so overwhelming that a person is entirely unable to function. The extreme reaction that sometimes follows excessive stress was referred to in the mid 20th century as a nervous breakdown, although the term is used less often today. A nervous breakdown isn’t a true medical condition or diagnosis. Instead, it’s an unhealthy response to stress that produces severe and life-altering symptoms. Essentially, the body just shuts down, no longer able to cope. Someone who has been working around the clock, or who has been under intense pressure to perform may be more vulnerable to having a nervous breakdown. An underlying mental health issue, such as depression, can often precipitate a nervous breakdown. Nervous breakdowns typically come with warning signs. Some people began hallucinating; seeing or hearing things that aren’t really there. Others may become listless, losing energy and interest in activities they once enjoyed. A nervous breakdown can come on slowly, or someone may “snap” and be immediately rendered unable to function. In the midst of a nervous breakdown, a person may completely withdraw from life. He or she might repeatedly call in sick to work or school, avoid interactions with friends, stop eating, and sleep all day. If you notice any signs of intense stress or an impending nervous breakdown, try to take time off to do things you enjoy. Exercise, go to a movie, or get a massage to ease the building tension. 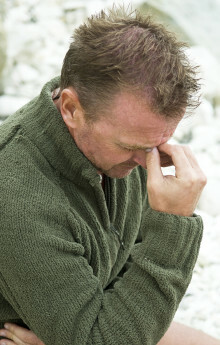 Relaxation techniques such as yoga or meditation can often calm the worries that precipitate a nervous breakdown. If relaxation and breaks don’t help, get evaluated by a mental health professional, such as a therapist or counselor. Today, what was previously referred to as a nervous breakdown will be more specifically diagnosed as depression, an anxiety disorder, or another mental health issue. The term “nervous breakdown” is commonly used to refer to an inability to function normally; it’s often described as a feeling of being unable to cope with life’s demands. Some healthcare professionals refer to it as a mental health crisis.